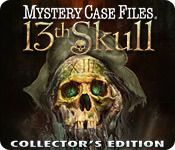 Mystery Case Files ®: 13th Skull ™ Collector's Edition is rated 4.4 out of 5 by 122. Rated 5 out of 5 by grunny50 from One of the best of all time! This game is easily, hands-down, one of the best games I've ever played! It has everything: HO's, puzzles, story line, characters, scenery, and humor. The interaction with live actors wasn't annoying, but fit perfectly into the game. This game gave me hours, even days of play time, and kept me intrigued the whole time. Oh, if we only had more like this one! Rated 5 out of 5 by J9CT from Exactly what I'd expect the south to look like!!!! Love the southern houses, bayous, boats, music and hillbillies. This all sets the atmosphere of the game plus it's raining constantly which makes the game gloomy. Too many bright colors and cheeriness in other mystery games. There's also a great twist in the end, I did not see this coming. 13th Skull, Escape from Ravenhearst and Dire Grove are the classics that you can't miss out on. I highly recommend these games if you're interested in more than just HO. Rated 5 out of 5 by DotGBS from GREAT GAME I have owned this game since it first came out . I love ,love, love it. The real life character's make the game so much better than any other game I have ever played . The reality of the setting is wonderful .You travel all over the plantation . I now have my grandchildren playing it . Wish BFG would make another as good as this one . Rated 5 out of 5 by darlene_vile from Best Game in the Series This was the highest quality game of this genre I've played so far. And I've been at it for years upon years now. So much variety in gameplay, entertainingly over-the-top live acting, and its actually original! More than you can say for most hogs, where its an endless sea of cliched item fetching with little substance. I was so glad they went in this direction with Dire Grove and Shadow Lake, hiring real actors is such a fantastic idea. Now they've topped themselves with 13th Skull. I truly hope they let this streak of great games continue. No more cookiecutter bland hogs without soul, just more like this one, please! Rated 5 out of 5 by Mrsboxcar from Rascals Rule Here! Wow. Graphics were great. Loved the use of real people. Can you imagine this game in virtual reality. Wait, that just gave me goose bumps. I can smell the decaying house, I can hear the mosquitoes coming in swarms, I can smell the farts at the bar and can see the dim light from the voo doo house. Only thing that was hard for me to see was a little girl dying...even if she was a liar and a brat. Still looking for two golden tickets because I refuse to cheat. Will keep trying though. You really need to give this game a chance. Loved it! Rated 5 out of 5 by barleymo2 from must play I have had this game for two years and this in my opinion rates as the top detective game of all time,if you do rely on any help .then you should relish this game.. Rated 5 out of 5 by Famy from Must play Hidden Object Game!!! 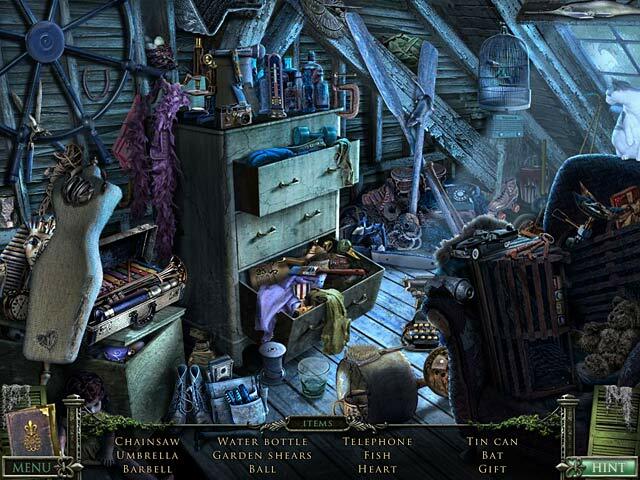 My favourite Hidden Object game! The best one i have ever played! Exciting and interesting storyline, neither easy nor hard puzzles,a great challenge,the visual brilliant, if you start it you won`t be able to stop playing it! Very very recommended!!! Rated 5 out of 5 by sdevers8 from Great Game Love this game. So far my favorite game. Have tried to find equals and the rest fall short. Rated 5 out of 5 by Ladylove1972 from My favorite! I've played many hidden object games, but I just discovered this classic. It's my favorite hidden object game yet! Great atmosphere (you'll feel drenched with all that rain! 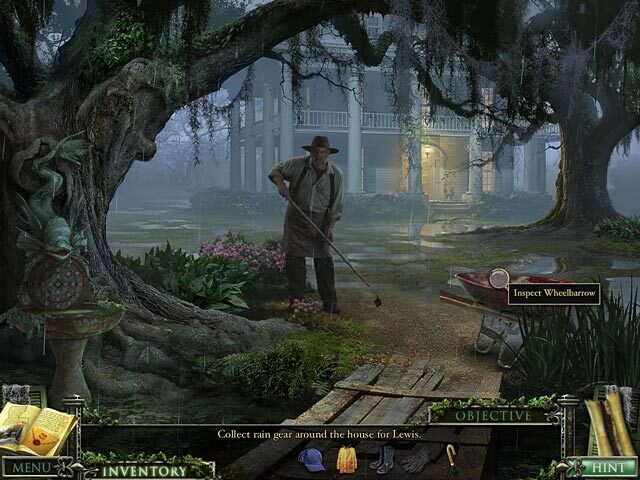 ), lots of hidden object games and a fun treasure hunt. I loved the live-action quirky characters, too. Perfect blend of dark mystery and humor. I will play this one again! Rated 5 out of 5 by Veryan from Challenging and entertaining! 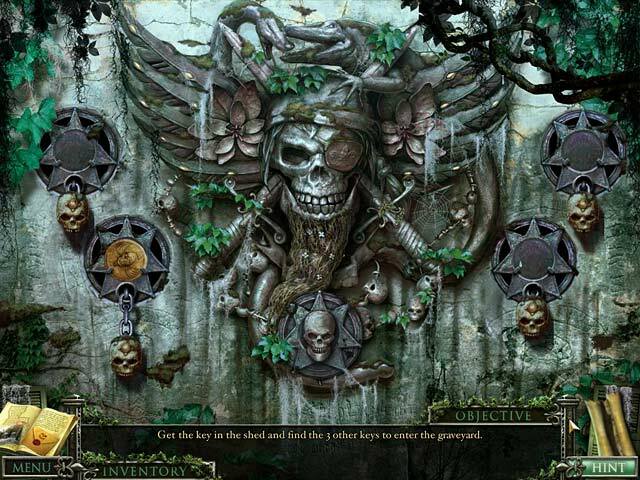 My favourite Mystery Case Files game! !